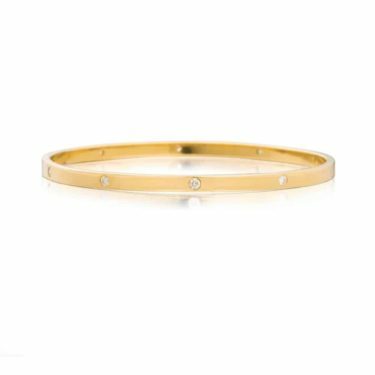 Handmade solid 18ct yellow gold diamond set bangle.It has a flat outside profile and evenly shot set with 10=.72 carats of GSI1 quality round brilliant cut diamonds. 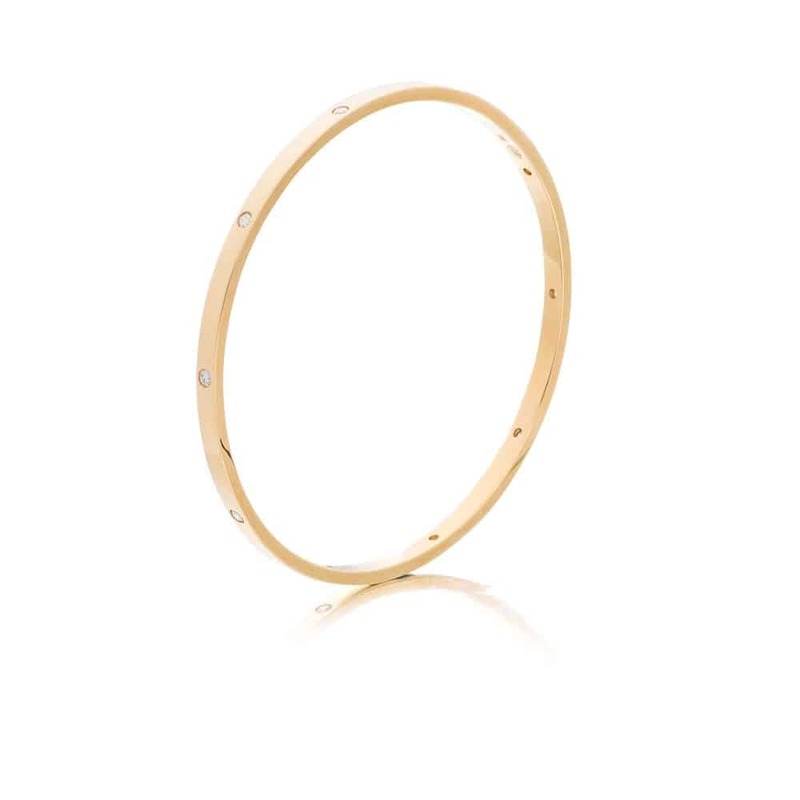 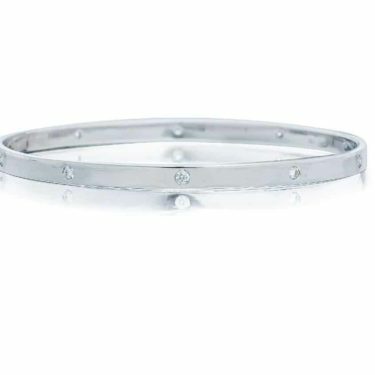 The bangle is 4.0mm wide, 2.3mm thick and an inside diameter of 68.5mm. 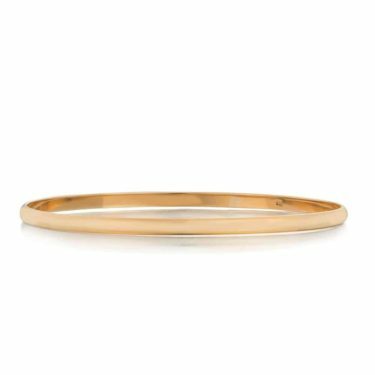 The total weight is 29.42 grams.